I'm a big Kate DiCamillo fan. Somehow I am slipping because I found out that she had another novel released, Flora & Ulysses. I looked forward to a slightly sad story about friendship and hope. I suppose I got that, but it wasn't as satisfying as I wanted. My major issue was the language used in the novel. I would go so far as to say this is a book that could only be read aloud to the intended audience. There is so much challenging vocabulary that there would need to be many pauses to explain. For example, one eleven-year-old says to another, "You, a self-professed cynic, are positing that the squirrel is a superhero." This one sentence would be enough to turn off the majority of my readers. Instead of enjoying the book for its plot, I read it from the perspective of a teacher. There are some beautiful and complicated sentences in the text that could be used as mentor sentences. There is a lot of repetition of the challenging words, which can help students remember their meanings and, ideally, incorporate them into their own writing. Still, these aren't the things I usually think about as I read; usually, the story engrosses me. It's still worth adding the book to your library. 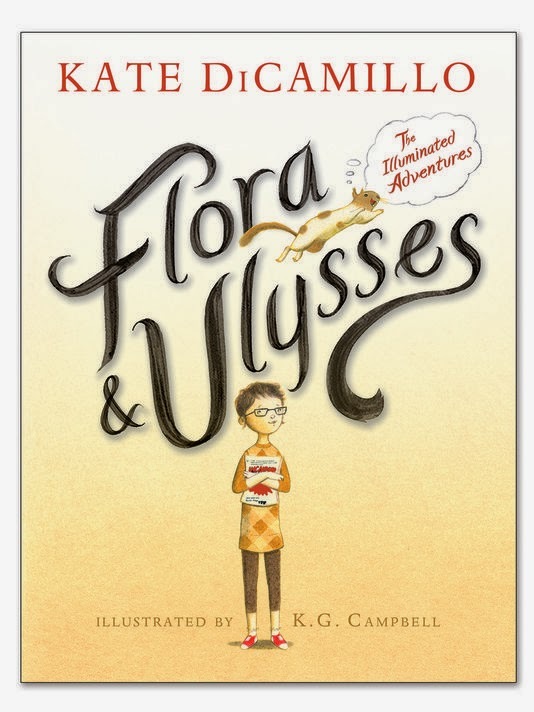 There are some diehard Kate DiCamillo fans who will push through and enjoy the book. It does feature her trademark themes of hope and misfits who find each other. It just wasn't for me.